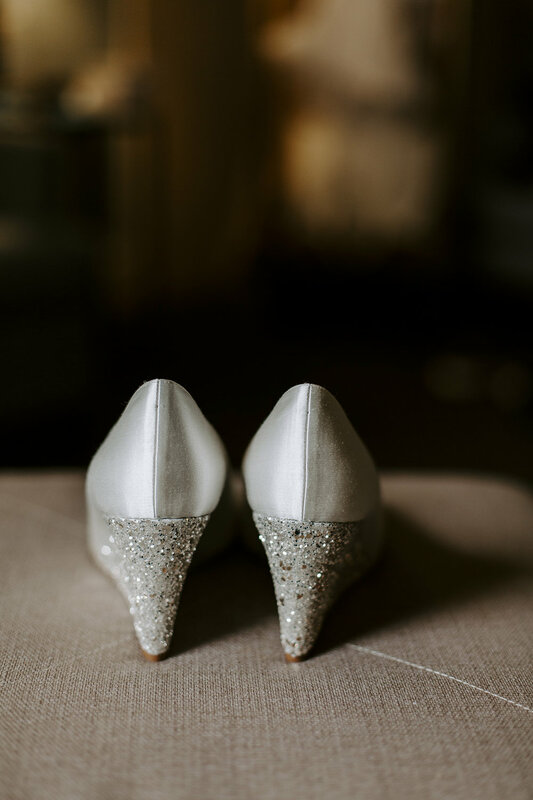 Helpful Hints — Ray Photography Co.
After photographing weddings for over six years now and having a wedding of my own, I have learned a lot about The Big Day. The most important thing, of course, is just BE PUMPED knowing you get to marry your favorite person. Nothing else matters more. The food will be eaten, the flowers will fade, but your love (and your pictures!) will last forever. Light is love, and love is light! What I mean by that is, natural light is your BFF when it comes to getting ready pictures. Using window light to illuminate the getting ready process will guarantee gorgeous, even tones and easy breezy beautiful documentation of your morning. It will also benefit your makeup artist, your soul, and the general atmosphere of the morning tremendously! If it all possible, try to keep your getting ready space clutter-free. Your pictures (and anyone else in the room with you) will thank you later. Keeping your space simple and tidy will allow the photographs to really focus in on you and your crew while you get ready, without distracting boxes or trash or food to detract from your gorgeousness. INVITATIONS + MOMENTOS // FLATLAY FUN! I always encourage my couples to set aside their wedding invitations, engagement "Save the Date"s, and any other paper goods that have been a part of the getting-married journey. These details, coupled with wedding rings, earrings, and/or other sweet somethings make these really lovely visual collages of the details that characterize your day! I love to help with timeline creation and advice. I can help you with ideal ceremony times, the best timeframe for pictures, and a general sense of your day that allows enough time to get ready. I am always here to offer help and feedback on timelines so that your day will flow as seamlessly and smoothly as possible. This is one of the most important tips for your day! Your nerves may kick in and you may not really feel super hungry, but it is truly so important to have food in your belly so you are a happy functioning human. Ain't NOBODY want to be hangry (hungry + angry) on their wedding day once those nerves wear off. Oftentimes, you may start the getting ready process and work through lunch time, totally spacing on putting some goodness in your belly. But this can be easily remedied by pre-ordering and picking up a little snack tray from a grocery store nearby beforehand with mini sandwiches/wraps, fruit, veggies, etc. These are organized into manageable and delicious bites to keep you going! Bask. Relax. Breathe. Repeat. You may find yourself tempted to take off down the aisle at lightning speed, but this moment is just magical. The love of your life is waiting for you in total awe on the other side. Your friends and family are surrounding you in a warm and fuzzy emotional hug, silently cheering you on as you make your way to your betrothed. Photo Tip: Walking slowly will also guarantee plenty of shots of all those beautiful emotions flowing through you both during this sacred moment in time. 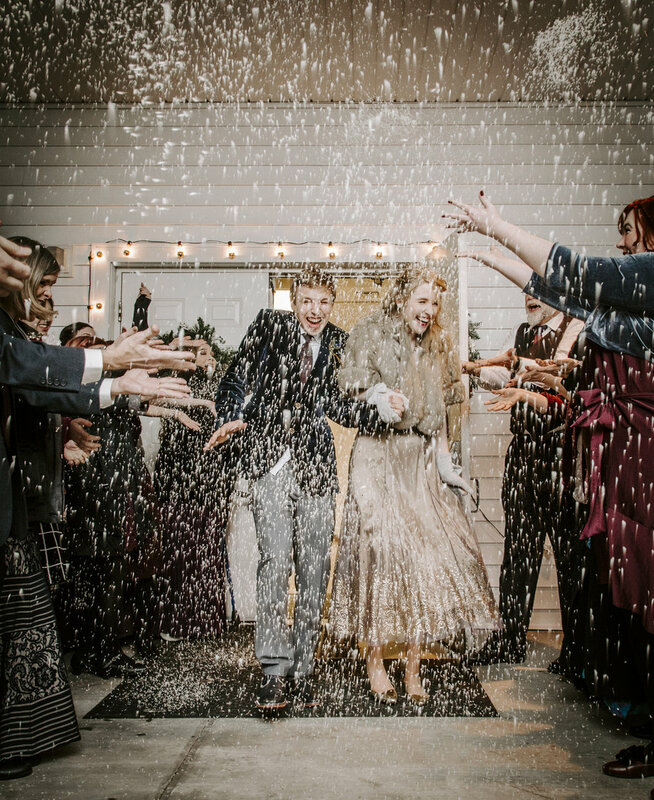 Whether you're drawn to sparklers, thrown rice, or jingle bells, planning a fun send-off at the end of the night is a fantastic way to go out with a bang one last time with your friends and family all rooting for you! Photo Tip: I will organize your crowd; you just strut your stuff, and soak up the awesomeness! Feel free to smooch in the middle, jump for joy, and take it all in one last time. When it comes to planning your wedding, you may feel a little overwhelmed by the boxes to check and things to do and vendors to book; yet something I really believe in is the power of saying, "Hey, this doesn't make sense for us, I don't see a purpose in this, let's just not do it." You may not love the idea of a formal sit-down meal; you may be more of an appetizers and hanging out kind-of-couple. You may not want to have fourteen bridesmaids, and a bridal party may not seem up your alley. You may not wish to have a huge wedding, and instead elope somewhere magical. Or maybe a big fun party seems like the best day ever! Bottom line: Be true to yourself. You don't have to do anything. It's your day. Trust your heart and your gut, and do it your way. 5. KEEP CALM, AND LOVE ON! No matter how much you plan, prepare, and go through your checklist for your day, something might just go differently than planned. And that's okay, because you are surrounded by people who are your #1 fans and will help you every step of the way. You may forget a bracelet or a cufflink, or your uncle may drink too much and throw some crazy moves on the dance floor. But at the end of the day, none of those little things really matter. I mean, how incredible is it that you get to marry the love of your life, surrounded by all your favorite people at the same place, at the same time? All those little details and worries are but fleeting moments. Don't let them take control of what really matters: you are celebrating embarking on an incredible adventure with the love of your life. So have a blast, love your people, and enjoy every moment; it's going to be fantastic.